Wild Bill makes his TV debut! 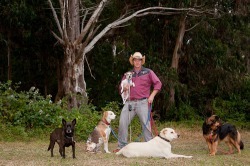 See the Dog Wrangler story that aired on CBS May 14th at 5 PM on the "Eye on the Bay" segment. 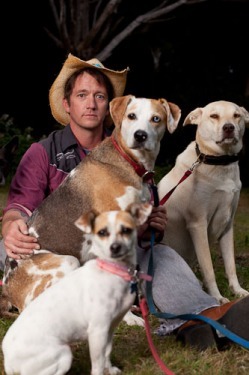 And see the longer mini-documentary about the Dog Wrangler on You Tube. 1. If you have a Wheaton Terrier, Jack Russell (I do accept Jack Russell/Chihuahua mixes--they are my favorites! ), poodle, doodle, pit bull, dachsund, outside-only dog, aggressive dog, or if your dog is over 6 months and not spayed or over 9 months and not neutered. 2. You are not in my service area. My service area is described as Park-Presidio to North Beach, Crissy Field to Fell. If you live within this region or close to it, I'd like to discuss your dog wrangling needs. How is dog wrangling different from dog walking? Whereas dog walking often means nothing more than a short stroll to the middle of a park while the walker converses on his cell phone, dog wrangling entails perpetual motion. The Dog Wrangler varies his route every day, constantly providing new terrain for the dogs, such that no territorial behaviors surface and dogs do not become fetch-obsessed. Boarding with the Dog Wrangler at the Lazy P Ranchette is comfortable and fun. The experience includes lots of dogs to play with and a big "backyard" (the Panhandle is just across the street). 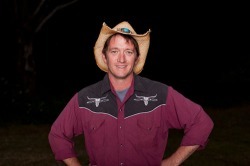 The Dog Wrangler happily fulfills any special requests, e.g., sleeping with your dog, vet appointments, and medication. 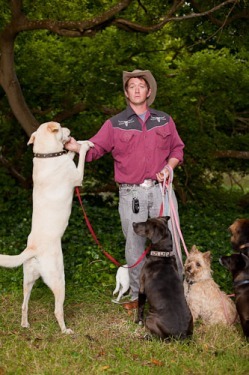 Wild Bill Peacock has been providing high energy, safe, fun dog wrangling services in San Francisco for four years. Group matching based on energy level and demeanor. Dogs walked regularly with the Dog Wrangler typically lose 5 - 20% of their body weight. Social skills improve. Your dog will have a pack to call their own. Most clients find their dogs no longer lunge at other dogs on the sidewalk or at the door when they get home. 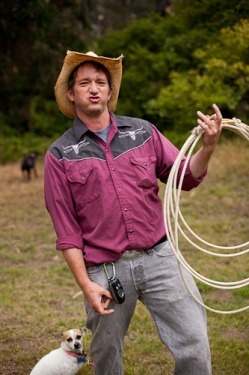 The Dog Wrangler's fees are based on your location and type of walk you desire. The going rate for dog walks in San Francisco is nearing $25 per walk. 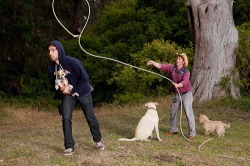 The Dog Wrangler's prices are lower and your dog will get far more exercise on the Dog Wrangler's excursions. Do what is best for you and your dog. I am Wild Bill Peacock, the Dog Wrangler, and I approved this message. To contact me about my services, please call or text my cell phone: 415.828.2749. You can email me, but I'm something of a neo-Luddite (and I don't sit at my computer all day), so texting or calling me will result in a quicker response. wbpeacock@gmail.com if you must use this method of communication.